NetWeaver is a master data management solution that creates, distributes, and maintains master data, providing your organization that allows you to manage informed business decisions, process efficiency, and responsiveness to change. I love that the program offers the user the ability to manage several jobs at once. This allows for the user to have the chance to get a lot of work done in a proficient and efficient manner. I also think that the program is useful when it comes to allowing a company to move forward and have better revenue intakes because with a good working system a company can only continue to move forward and make money. The one issue that I have with the program is that it does not allow for more then 6 windows to be open, so it makes it a challenge when you have to use multiple pages to get a job done. I also do not enjoy when the program times out when you are away for too long that is an issue because it then requires me the user to have to restart his work and that can have an effect on the productivity of work done. Like I said before SAP NetWeaver has allowed the company I work for to have the ability to work proficiently and have the ability to manage large loads of work with ease. i highly recommend the program to anyone or any company that is looking to upgrade their systems with a program that gets the job done. SAP NetWeaver has allowed the company I work for to have the ability to work proficiently and have the ability to manage large loads of work with ease. I think that being efficient is one of the most important things for a company to consider and with SAP NetWeaver the company I work for is able to preform the jobs and tasks that are required for them to be a profitable company. Its a very complete software, you need to know what to do there because it has a lot of functions, once you know the software it turns very simple and helpful for your company because you have all the information there. In the beginning if gets a bit hard to know what to do, you need to read and practice a lot to familiarize with the software. 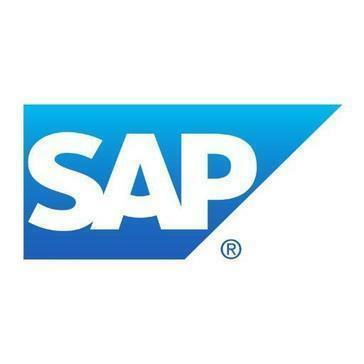 I will recommend you to read a lot of SAP, you can take a course or may be some videos would help you to learn about SAP, then with your manager you will learn the things that he/she wants but at the beginning you should learn by yourself. Im helping my manager creating purchase orders and some financial stuff, we have studied a lot of project management because we need those concepts in our area. "Works fine but yet to improve a lot"
It's very well integrated with SAP backend ERP/BI,other systems. Lot can be done easily on top of netweaver. The User interface is very obsolete, SAP should have worked on making the UI much more friendly and especially make it mobile friendly. They missed the boat big time. We've provided SAP netweaver portal for our external customers for all the b2b operations. Benefit is that though it's well connected to SAP backend systems the external user are not quite hitting the backend systems directly and hence the load and performance works well on the core systems. SAP maintains and processes large bits of data while still being user friendly. Once you have some familiarity with the front-end it is very simply to view and manipulate large masses of data. Changing data on an particular item is simple. There are a number of fields for entering data for an item. The software offers many many options which are overly complex for our needs. It is relatively ugly, with dull colors, type writer font, and has a generally early 90's appearance. If you want to paste a list into a field, only about 8 fields show up, so if you copy say 20 items from an excel spreadsheet, only the first 8 will paste. Sometimes the error wording is ambiguous. It would be nice if you could look up a list of maintenance plans or work orders for a particular functional location - there is no good way to see a list of all of the maintenance plans or work orders for your area of responsibility. There is no "work order due date" There are about 8 date options for maintenance plans, but we operation by "due date" so this makes things difficult. Great for large businesses and large amounts of data but small business managing lesser data and not requiring a global data collection could probably benefit from smaller solution packages. I use NetWeaver for managing equipment and preventative maintenance. "Very Poor experience, not happy with switch"
The only positive I can really think of is the ability to capture experimental work done prior to finalizing specifications, but the system is so time consuming to use that we don't make much use of this feature. We are trying to use this as R&D notebooks to capture history on the development process for products (not going very well), and then also to set up final product specifications. "Bad bad bad. We have to use it for a simple job and it fails miserably." Honestly nothing. I have never seen such a crude product. It could be the specific implementation at my current working place but this is really bad. Having said that of course the implementation that we have is so traditional that it is really self-explanatory to use the provided UI. There are several UI issues when using multiple browsers. Something might work in IE and not in Chrome etc. Also the UI produced is very very outdated and looks like it came from the early 00s. Please make sure you try before you buy. Try to see an actual implementation, a real use case, and try to use it from a user perspective before you decide to go that way. Try to do some simple things and try to do them using multiple browsers. "The one stop place for the usual SAP stuff"
The application is comparatively light-weight. There are other ways to do all the SAP related stuff (from configurations to ABAP codes) but this application is tried and tested, and it has been there for years. It is a bit boring, but it gets the job done efficiently. I cannot imagine using SAP functionalities using a web browser. If the internet connection is fast and the required VPNs are configured properly, then NetWeaver works effortlessly. The interface is old-school. The user experience is not at all nice, if you compare it with a recent IDE, Moreover, there are problems with the connectivity at times - it gets disconnected. There are a couple of times when the application stops responding but that is majorly because of data overload. There are other (poor) alternatives to SAP NetWeaver but nothing comes close to it. SAP NetWeaver is the base application. So we can practically work on anything. I'm working on an application which involves pulling the Human Resource data from NetWeaver and showing it in the browser with some added functionalities. "Powerful tool after you know how to print reports from it. " It is a tool where you can find, organize and filter information really easily. It allows to export information to be used in softwares like excel. It is not intuitive to learn which report to request from the software when you are starting to learn the tool. The interface could be more user friendly. It is a really good tool, but before buying it make sure you adquire the packages that will be right for your need. Since they offer different subsets of tools. Each subset is focused in a particular area. I used the tool to compute how long and how many times the machines in the production line would stop because of required maintenance. Also the tool was used to schedule the stops required for predictive maintenance. You can quickly find out the information you need. SAP NetWeaver is a powerful tool. I use it to track our companies equipment, which the program seems very efficient to use. The thing I dislike the most is the learning curve associated with this software. It can take some time to fully understand and utilize. Take some training classes from the official SAP website. It will help a lot! Tracking purchases and serial numbers. "Amazing Capabilities in a Dated Software"
The best part about SAP NetWeaver is the virtually endless possibilities for analyzing and manipulating data. SAP is directly linked to our financials, billings, revenue, expenses, T&E reporting - and the list goes on and on. Since our data is able to be connected to one main computing platform, we are able to create various reports with all the information at our fingertips. This has been especially useful in my field as a financial analyst. We can create reports with any information that we choose to be linked to SAP. I think the system can improve upon its user-friendliness and overall outdated design. Even after using this application for a year, I still constantly find myself trying to remember how to save a shortcut to my "Favorite" links. Additionally, I feel that some of the paths needed to go through to reach the data can be excessive. For example, when I am trying to create a report or change the design of a report, it seems to take exceptionally long to find the fields I'm looking for. Additionally, not that product design is the main feature of this software, but it couldn't hurt to undergo a newer/cleaner look as opposed to the archaic Microsoft Office design. This is a great product that is typically easy to use. There may be some rough patches to get through (i.e. sorting through all the reports available to the user), but having all our information in one place to manage is a analyst's haven. As mentioned above, there are countless reports that my company relies on SAP NetWeaver to create. These reports ultimately are the source of our financial support for our business. Our company heavily relies on the different features available to us to record, manage, analyze, and ultimately provide data to our employees and other users of our information. "Needs updating, this is old technology"
Relatively easy to use once you learn it. Not a very steep learning curve. With a thorough guide to explain all the features, it would not be that difficult to learn. Not intuitive, but not hard either. Old outdated system. The system feels sluggish to operate but that may be due to network speeds at your location. Good product overall. Tried and tested. Plant maintenance and reliability data tracking. "SAP is a decent software for ERP use"
The best part about SAP net weaver is the accessibility. I can access this anywhere there is an internet signal. I strongly dislike the transaction codes that have very little rhyme or reason to them. For example, purchase order t code is ME32K. This makes no sense. I also don't like how each t code requires you to go back to the home page after you're finished before you can enter another t code. This is very inefficient. Purchase orders and internal contracts. The benefits are these POs are easily accessible via the web. Can't make it specific to a person or record without using roles. We want to be able to show specific icons based on the field values of the current record. For general use, this is a decent product, if you need to show specific icons based on the field value(s) of the current record then you might want to consider a different product. "Tool for handling end to end process"
The integration between different flows can never be replaced with any other application. It has been developed to the core level and you can navigate from the start of a process to end of process, without even getting deviated. The UI is still old styled and it has to be improved. It really looks dull and not catchy. Provide importance to UI. Need to come up with a better design and better editor. Handling the whole sales and procurement . The integration between different modules and the navigation has been very useful to all the users. "Complicated search methods and antiquated organization, not user friendly"
Connection of part/drawing numbers to any related documents. The different search methods are confusing and not intuitive. For example, in order to look at a part's drawing number or status, and then print any 'where used' BOMs, one has to completely leave and then reenter SAP using different searches. There are better ways to integrate and organize information. SAP makes finding information very difficult. There are often multiple numbers given to the same purchased part simply because it's such a long task to search through SAP's stock. SAP is used to organize all engineering parts, assemblies, BOMs and procedures. Once you have learned how to use SAP, it successfully keeps track of tens of thousands of parts. SAP NetWeaver is a product that has been around for a long time and has been proved. Also the simplicity of managing master data using MDM with NetWeaver. Being part of the SAP NW the MDM has to have its own Infrastructure setup which drives the cost of implementation. We have many legacy systems with their own master data. Managing them with one application allows us to better manage our data. "Terrible UI and difficult to deploy new patches"
It has terrible UI. It seems like the UI got stuck in 90s. Additionally, it is very difficult to apply patches. All patches should be deployed in certain order and it is easy to miss a patch. We are using for Solution Manager, FI and MM. SAP Netweaver allows us to communicate across our international business to maintain inventory. The system can be slow at times, especially during month end/quarter end. Be patient. It takes time to learn to use the system correctly. "Somewhat clunky, with poor browser integration"
We use SAP via Toyota; not sure if the version they use is different from the current. Software is clearly powerful and overall gets the job done. It works best in Internet Explorer (usually) but it also works in Chrome, though occasionally with errors. Interface is slow and old school - though this may be due to the implementation in our case. Communication with a large dealer network all over the country with a wide variety of needs and permissions. SAP handles it fairly well. "SAP Netweaver is a Wonderful Product"
SAP Netweaver is a very powerful tool that allows my company to perform Enterprise Resource Planning, Business Intelligence, Master Data Management, Human Resource Management, Financials, et cetera. Overall this system is such a powerful tool. The user interface is dated without running Fiori. It can also be overly complicated for basic users. Also for navigation there are too many levels and different ways to get to the same screen. We run our business on SAP Netweaver. Without it we would not be able to repeatedly post amazing returns for our shareholders. "Solid platform for critical health data"
We use NetWeaver which is the platform for the Apo-Clozapine Portal, which is used to track and manage key blood work results critical to patient care. I like that NetWeaver provides a comprehensive approach to data management and offers an efficient development platform for the portal. The design is quite outdated and it can be difficult to locate simple functions to organise information. We rely on SAP NetWeaver to record and organize critical health data that clinicians and pharmacists need to make safe and efficient health care decisions for patients Our business is providing effective, preventative, and cost-effective care. NetWeaver has been beneficial as a consistent and reliable portal for information. "The One Integration Platform "
Process Platform offerings by providing capabilities for service provisioning, composition (service consumption), and governance. The SAP NetWeaver Technology Map comprises all these capabilities and depicts them in a structured map that enables you to drill down from top-level technology areas (for example, Lifecycle Management) to individual capabilities (for example, Administration, Monitoring, and so on). SAP NetWeaver is an open technology platform that offers a comprehensive set of technologies for running mission-critical business applications and integrating people, processes, and information. The new technology map is not linked to a specific SAP NetWeaver product or release, but contains all capabilities provided by the SAP NetWeaver platform. One of the products names, SAP Netweaver Application Server is my favorite as it plays as a web application server for SAP application solutions and tools. It can be easily integrated with other 3rd party applications. Another product which I admire the most is the SAP Netweaver Developer Studio (NWDS), have used this tool for migration of J2ee applications into SAP Netweaver Infrastructure. I would say the source framework and it's cost is sometimes un affordable by mid size companies. I would strongly recommend this product if you'd like to align your SAP products and integrate them on one central place while at the same time it's easy to use. 5. SAP Netweaver AS supports HTTPS which is widely used and accepted by other industry platforms and standards. Customizable menus keep transactions organized. Easy to search for new transactions. Sometimes searches within transactions can be difficult to navigate. We use it for a large portion of our purchase and maintenance processes. It can help keep PM schedules on track. NetWeaver makes data and product management very simple. It allows several different users to collaborate seamlessly. The lack of a good tutorial to help navigate all the data. Helps us run on a global level. I know exactly how to use it. The training my company provided was helpful in my learning the system. The system is incredibly slow. It takes an obscene amount of time to log my time. We should have a job number specifically for logging our time. Keeping track of hours and billing clients accordingly. Keeping track of PTO accrued and used. The transaction numbers are very counterintuitive and not user friendly. The user interface is not good. Understand the extensive training to learn the software. "SAP Netweaver Build life with NW"
it is the best product I used since my carrier of 13 years, such a simple reliable, cost effective and meet the requirement . "Sap for first time users"
Sap is a fantastic platform for inventory and stock monitoring. It keeps track of customer demographic data,sales orders,back orders, and material price. The software is linear and kind of stiff. There is no partition to automatically update client software, and you have to go through a lot of tabs. As a user and a CSR, I deal with customer inquiries and complaints from product price, availability, usage, and sales order creation. The one benefit of this program is to augment orders even if they are already being processed. good product need some more improvement on cloud . Ease of use and simple user interface. It's fairly user friendly and has a lot of capabilities. "Good experience to working on netweaver last 3 years "
It cam be a little slow depending how much data I am searching for when searching for a PO. "I use SAP but not netweaver"
Traceability within our system and accountability of times and employees doing the job. Complicated to use, especially with non tech savvy employees. It takes a lot longer to do any job than it did before. "large web developments using Netweaver"
"I use this to track parts and inventory "
The interface and the seamless integration with our inventory system. I don’t like the update schedule. It interferes with large data downloads. Ch class to make sure your needs match features. that we have a master data system. We are not very happy with this product. This software was easy to deploy and provides great service to my company. Netweaver is a complex tool that requires a lot of training and repetition to get familiar with the program. This all are process based. It should be GUI based so easy to handle. * We monitor all SAP NetWeaver reviews to prevent fraudulent reviews and keep review quality high. We do not post reviews by company employees or direct competitors. Validated reviews require the user to submit a screenshot of the product containing their user ID, in order to verify a user is an actual user of the product. Hi there! Are you looking to implement a solution like SAP NetWeaver?